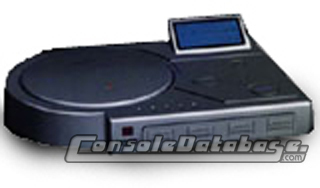 The PlayStation 2 was in development for some time before it was revealed to the public in April 1999 (see an original idea for the console here). A lot of hype developed around the machine leading up to its September 1999 release in Japan. This powerful console can handle millions of polygons per second, making graphics more life-like. Added to this is the "Emotion Engine" that can simulate weather, worlds, human behaviour and emotions, so that games will react to players\' actions in a more realistic way. The console can play two media formats: CDs and DVDs. PS2 games are stored on DVDs which can hold 3.2 gigabytes or 6.4 gigabytes if dual layered. This means games can be much larger than ever before. You can also play DVD movies (a remote control can be bought separately but is not required), music CDs and the PS2 is backwards compatible with original PlayStation games. The PS1 games will sometimes even show some improvements in graphics and loading times. Original PlayStation accessories can also be used with the PS2 unless the game requires a special PS2 accessory. And with the USB ports, you can add other items like digital cameras, hard drives, voice recognition systems, the Internet and more. Platform: Sony PlayStation 2/PSTwo (PS2).